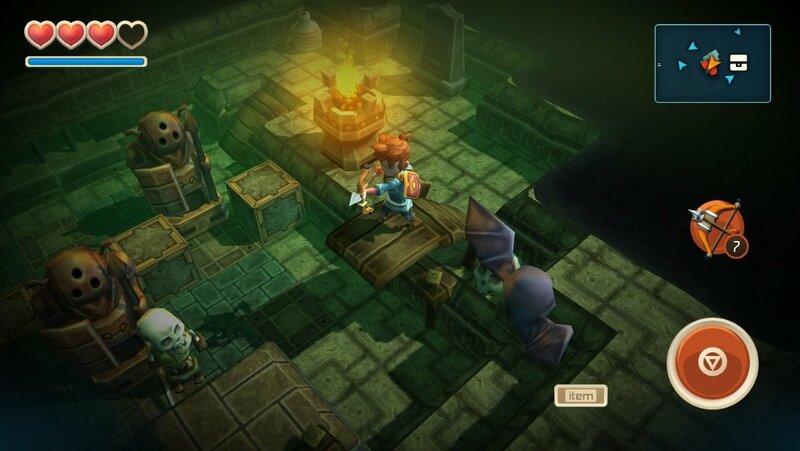 We have lots and lots of previous coverage of Oceanhorn: Monster of Uncharted Seas, mostly because it’s been in development for almost two full years now. It’s a Zelda-inspired action RPG from Cornfox Bros. and FDG Entertainment, and ever since that first announcement all that time ago people have been chomping at the bit to get their hands on the final product, ourselves included. Well today FDG sent along a brand new screen of Oceanhorn, along with the information that there’s a hint to the release date of the game hidden within. Take a look. I’ve done as much detective work as I’m capable of doing, and really the only thing I can come up with is the release may fall on the 7th of either November or December, due to the 7 arrows in the character’s inventory. Sort of a lame guess, I know. However, even more fitting with the idea of a release on the 7th is that November 7th, 2011 marks the day that Oceanhorn was first unveiled to the world. That was the day Cornfox started the upcoming thread in our forums and the day we first brought the news of its existence to you here on the front page of TouchArcade. That makes it kind of a meaningful day, don’t you think? There also might be something to the actual file name of the screenshot: “Oceanhorn-and-it-is-hard-to-hold-a-candle-in-the-cold-.PNG" Hmmmm…. I pressed FDG for some confirmation to these theories but they’re remaining tight-lipped, but will be announcing the official release date soon, so be sure and check out the forum thread linked above and we’ll let you know when we can all finally get our hands on this highly-anticipated game. If you come across any other clues in the screen above definitely let us know your theories in the comments section below. Next PostNext Why Do You Read Game Reviews?